In Intellectual Freedom Fighters, a five-part series, I hope to draw attention to organizations who are either extraordinary or unique in their efforts to preserve and protect intellectual freedom. These organizations might have drawn my attention due to their specific focus within intellectual freedom, their successes, or their extreme measures. This second part’s highlight belongs to Flash Drives for Freedom. To reiterate, I was ten years old, with little knowledge of censorship or totalitarian regimes. I knew my grandfather was a Korean War veteran, since every time I was a picky eater, he would tell the “beets story” (while in the army, my grandfather had to try beets and discovered he liked them–a moral for us all). I later learned he was stationed in Japan for the duration of the war and never saw combat–which is to say, it wasn’t M*A*S*H, but nonetheless, the experience stuck with him through the rest of his life. I must have asked him to explain, because he told me about the tight grip the dictatorship–at that time, led by Kim Jong-Il–kept on the country, and how the government spread propaganda to its people about the rest of the world. Among the numerous human rights violations by the Democratic People’s Republic of Korea (DPRK)–forced labor, prison camps, famines due to misallocated resources–is infringing the right to information. North Korea is not the only country that rigorously censors information, nor is it the only country to surveil its citizens, but it is the worst offender when it comes to privacy and access to information (along with, more recently, Eritrea). Restricted information allows the North Korean government to continue its corruption, and the people there–told that the rest of the world lives in similar conditions–have no access to external information to disprove the narratives they are given. That is, ostensibly, they don’t have access. My grandfather was not the only one who saw possibility in a small device with gigabytes of data storage. 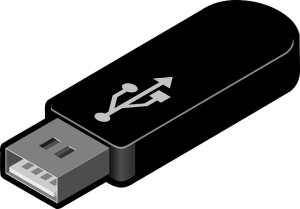 North Korean defectors have already been using flash drives to smuggle information, news, and media into the country, and it was even mentioned in a previous OIF blog post. However, these individuals have had to purchase their own flash drives, so Flash Drives for Freedom, our intellectual freedom fighter, organized in response to provide donated flash drives free of charge. According to their website, Flash Drives for Freedom has provided 125,000 drives and has reached 1.3 million North Korean people. Donated USBs are wiped, and the North Korean defectors decide what new content goes on the drives: “from South Korean soap operas and Hollywood films, to Korean-language versions of Wikipedia and interviews with North Korean defectors.” Those interested can donate USBs, SD cards, or money to buy the drives. Efforts like this, that use illegal means, black markets, and smugglers, naturally raise questions: is this ethical, and is it practical? Some are skeptical that citizens of North Korea have access to the technology required to use a flash drive. Flash Drives for Freedom assures readers that “[m]any citizens have devices with USB ports,” but like all our information about North Korea, it is shrouded in mystery. As much as North Korea prevents information from entering the country, it is also diligent to prevent information from coming out. Flash Drives for Freedom also has a Resources section of their website, with books from four North Korean defectors (one of which was reviewed in the OIF’s previous post). These help clarify the need and demand for USB drives. Similarly, journalist Suki Kim’s memoir, Without You, There is No Us, sheds light on what technology and outside information she and her students, the children of the country’s elite, had access to in the DPRK. The memoir covers Kim’s six months as an English teacher in a privately-owned university in North Korea. 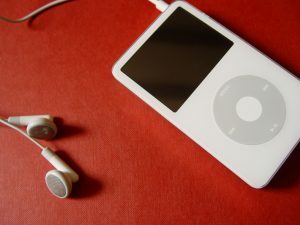 She notes that graduates students were beginning to learn how to use the Internet–not the state-sponsored intranet–and how her own students listened to English vocabulary on MP3 players. For the upper-class and privileged, technology is still tightly controlled, but it is feasible that citizens would be able to use USBs. However, some use methods other than flash drives. One defector/activist has sent balloons with messages against Kim Jong-Un over the border between North and South Korea–which has garnered criticism from the South Korean government in the interest of keeping the uneasy peace between the two nations. Does it make an actual impact, or does it just put North Korean people at risk? Returning to Suki Kim’s memoir, she never smuggled materials to her students, but she tried to disrupt the regime’s myths about the rest of the world in smaller, subtler ways: making her laptop background the Manhattan skyline, using her Kindle for a Korean/English dictionary, and having students read obituaries of Steve Jobs (approved by the school’s counterparts) for an assignment. The ethical position of the outsider here is a difficult one. On the one hand, how can we sit by and let the 25 million citizens of North Korea suffer? On the other hand, how can we intervene and put individuals at risk, knowing they will bear the punishment if caught? Flash Drives for Freedom addresses this concern as well: “In addition, HRF [Human Rights Foundation] believes that access to information is a fundamental right, not a privilege.” They also point out the changes in the past two decades–the North Korea my grandfather knew is much different from Suki Kim’s in 2011, where select students learned how to search on Google. The defectors listed on Flash Drives for Freedom’s website and in the article from the Guardian do not hesitate to try as much as they can to bring information to North Korea. 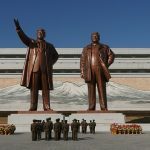 Flash Drives for Freedom provide the drives, but North Korean defectors–who know the risks as well as the rewards–choose to utilize them, as well as how to use them. When I talk about Intellectual Freedom Fighters in this series, it is typically in a Western context, and the main obstacles are bureaucratic red tape and outdated ideals. These are still important battles to fight. Libraries and librarians are revolutionaries in their own way, and they change the world every day already. But if you want to address global issues, to support democracy, and to uphold the right to information as a human right, you know where to go. Kelly Bilz is a graduate student from Kentucky pursuing her MLIS with a specialization in academic libraries. She works in her university’s Special Collections as well as the local history department of a public library. Kelly first heard about intellectual freedom in her Information in Society course and has spent the time since arguing with her friends about intellectual freedom in algorithms, ethics, and institutional integrity. 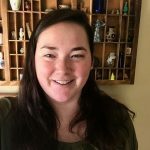 Because she is passionate about history and the cultural record, Kelly is interested in how intellectual freedom affects access to genealogical records and ethical collecting practices in archives. In her free time, Kelly enjoys listening to podcasts (especially Ear Hustle) and watching old movies (like Lady from Shanghai). Find her on LinkedIn.